Quick! What is the best gloriously gluten-y breakfast item you can think of? English muffins? Bagels? Scones? Toast? Nope, nope, nope, and nope. The correct answer is biscuits. 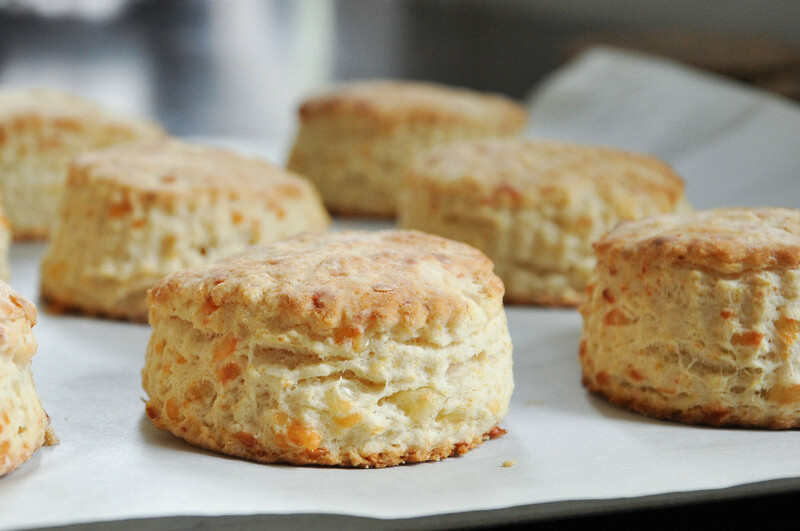 Especially buttermilk biscuits and especially if it contains cheese. I guess it's okay if you disagree, everyone has their own opinions, but continue reading and maybe I can change your mind. Funny story about biscuits. The first time I made them years ago, they turned out like hockey pucks because firstly, I way way way overworked the dough, and secondly, I actually rolled the dough into a log and proceeded to cut out segments with a knife (as if I were making pillsbury holiday sugar cookies from the tube). I like to think that the recipe I used had poor instructions, but it's more likely that my poor reading skills were to blame. Years later, I am now the biscuit QUEEN...err, biscuit princess at the very least. I've been making variations of this biscuit for so long that I'm not even sure where I got the original recipe from. 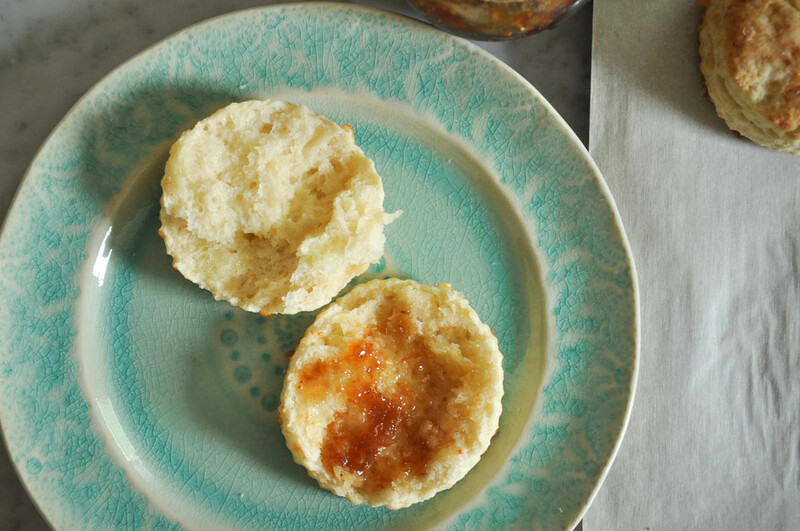 It's so simple, and if you're as much of a biscuit fiend as I am, it's one of the few recipes I recommend you commit to memory. You can make it without the cheddar if you're not feeling particularly cheesy, or you can use 1/2 cup chopped scallions, or a few tablespoons of chopped chives, or rosemary, or really anything your heart desires on that particular day. 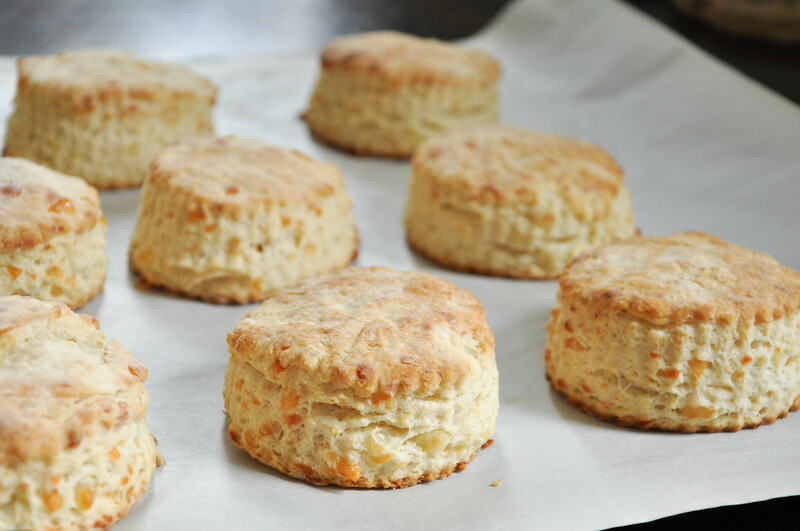 I have adjusted the amount of fat and leavener throughout the years, and this is the ratio that I think creates the best biscuit, but you should play around and find your favorite. Yields 8-10 large or 12-14 medium biscuits. 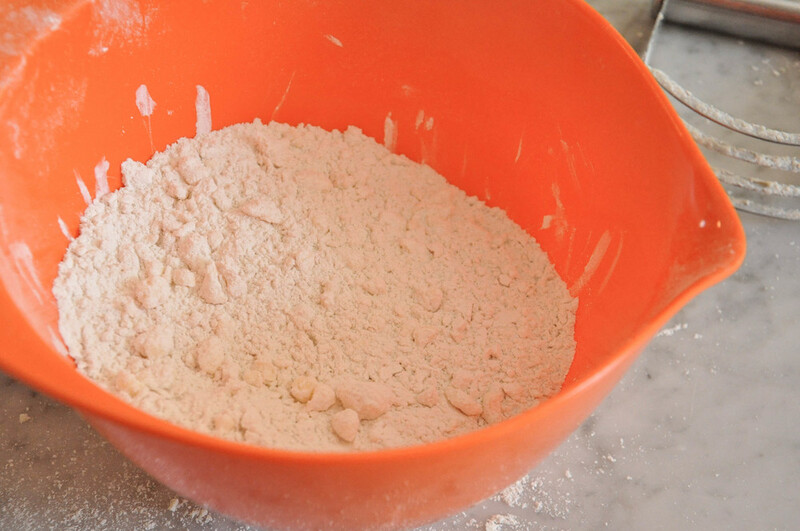 In a large mixing bowl, combine flour, baking powder and salt. 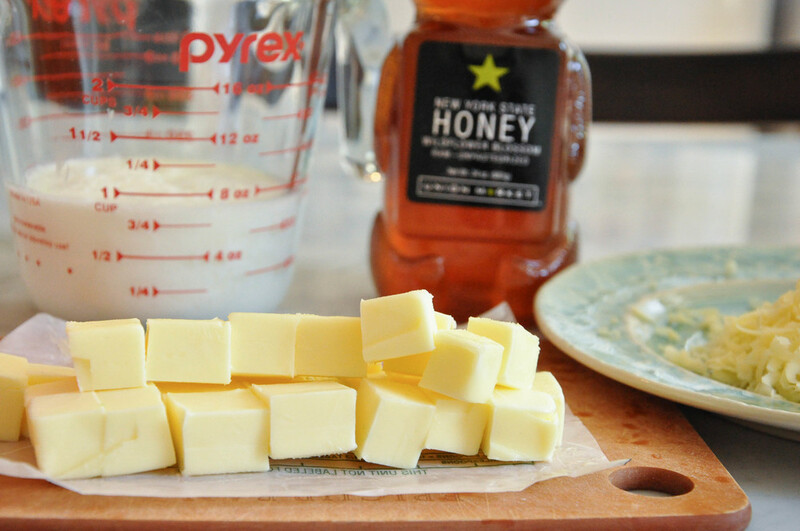 In a liquid measuring cup, mix buttermilk and honey until well combined. Here comes the part where you want to work as quickly as possible because you want everything to stay cold, making sure the butter doesn't start melting: Taking a pastry blender or two forks, cut butter into flour mixture until the pieces become the size of small peas. Add cheddar and combine with your fingers. Pour buttermilk over mixture and combine with a spoon. Using your hand, knead the mixture until it just comes together, but not any more than that! Transfer dough to a well floured counter. Using a rolling pin, press out dough until it is 1 inch thick. Lightly flour, fold dough over and roll out again. Repeat twice (here is where we're creating "layers" kind of like a croissant; I find that this creates a fluffier, higher rising biscuit). After folding over the last time, roll out dough to your desired thickness, I recommend 2/3 to 3/4 inch. Taking a round biscuit cutter, press down all the way to cut out individual biscuits. Take excess dough, roll out again, and continue cutting out biscuits. Repeat until all the dough is used. Transfer biscuits to a parchment paper lined baking sheet and bake on the top rack of your oven for approximately 12 minutes or until golden brown on top. Remove from oven. Break one open, smear with butter & jam or smash an egg on top. Devour immediately.